Here is an interesting political view. Thank you, “Markettofuture”! She is mistaken. They are not taking people off the rolls. I heard they were making sure that they knew when people died in the Chicago area, so they could send in operatives to vote the right way. Plus they were sending in neighborhood organizers to make sure all the illegal immigrants were registered Democrat, even if they could not read or write. DFS, you forgot to mention all the voters that have fallen off due to redistricting and requiring certain Id’s. The DNC definately rigged things in favor of whom they wanted to win it. Bernie rolled over on his followers. He would have been better backing off before the conenvention. The good thing that came out of it, is everyone can see how rigged the process is. It also shows what the elite are able to get away with without worrying about any thing happening to them. They want to know who the hackers were, but could care less about the content of the emails. She explains herself in more detail in the next video. I personally initially disliked Portia, in that her thinking was one of selfish greed. “What would she do for me?” Hillary lied, so Portia would not trust Hillary’s promises, was the impression I got. The fact that Portia was a delegate for Bernie Sanders, a self-avowed Marxist, although that is now called progressive socialism, further compounds my belief that, the anti-fracking, pro-Bernie, Portia is, in fact, not cognizant of the real world economy and what makes it tick. It was more slanted towards corrpution than anything thing else. Some folks condone it, others don’t. She is right about needing to “clean house”. More like burn down the house. Well sure she and a lot of others are. That woman and I would probably choke each other in a political debate, but I do agree with her attitude toward the condition of things. 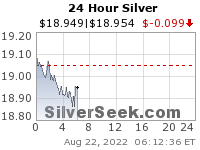 It is interesting that most of the price change in precious metals was entirely driven by US buying. 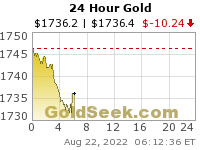 Gold, for example, is about $10 cheaper on the SGE. I wonder what will happen when the SGE opens! Nice $50 rise in Pt today in London! Most did not surprise me, but B2Gold seems out of place, perhaps? Rick in his four mining stocks covered today talked about Timmins Gold. I would point out the volume in that company is a lot higher now than back when it was $2-$3 a couple of years ago. I do not know the reason. Thanks, Ex. That explains some of the volume! Still does not explain B2Gold……..perhaps a takeover? I have no idea, just seems a little odd! Precious metal mining shares that have high correlations with gold include Alamos Gold (AGI), First Majestic Silver (AG), B2Gold (BTG), and Royal Gold (RGLD). On a YTD (year-to-date) basis, these four stocks have risen 165.4%, 376.8%, 175.5%, and 117.5%, respectively. These substantial returns are most likely due to the same safe-haven bids that boosted gold and other precious metals. Most mining companies have seen losses over the past few days. This is due to the reduced positive sentiment for gold as tremors over the Brexit vote subside. Also, geopolitical events such as the terrorist attack in France and the military coup attempt in Turkey failed to raise safe-haven bids for gold substantially. As you can see in the above table, B2Gold is the most correlated with gold among the four stocks on a YTD basis. Royal Gold is the least correlated to gold. B2Gold and Alamos Gold have seen their correlations to gold rise. For B2Gold, the correlation rose from a 50.6% three-year correlation to a 56.3% one-year correlation. A correlation of 56.3% suggests that about 56% of the time, B2Gold changed in the same direction as gold over the past year. A fall in gold leads to a drop in the price of mining shares, and a rise in gold leads to a rise of mining shares. Flowserve (FLS) Q2 Earnings: What’s in Store for the Stock? B2Gold Corp. (BTG – Snapshot Report)	has an Earnings ESP of +100.00% and sports a Zacks Rank #1. It is scheduled to report results on Aug 4. I think it was more probably the Zack’s article. I checked Zacks looking for something, but missed it! In that case, I also feel there was some hedge fund buying of BTG that distorted the volume a bit.